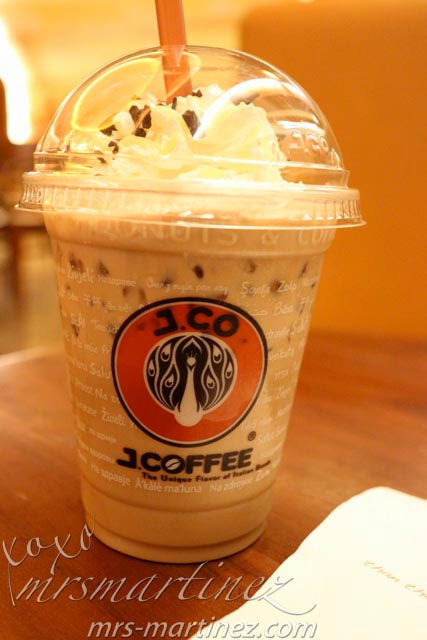 J.CO Iced Chocolate Banana + Araneta Center Opening on Thursday! I was back in J.CO Megamall branch last Friday to have a taste of its newest drink- Iced Chocolate Banana! Of course, I also got a dozen donuts to go. Banana + Chocolate in one drink! The combination tastes good ah! I hope J.Co can come up with more combinations like this. And I thought I was early when I went to SM Megamall at 10am. I was wrong, the branch opens at 8am and there was already a long line. Goodness, I think I was in line for a good thirty minutes but it was all worth it! Ok, sorry, this is just a quick post. I promise to write another one when I am back!